Lisa Hayes is an accomplished theatre maker, writer, public historian, and cultural leader. Though she has performed in dozens of plays, it is her one-woman shows that have taken her to London, Edinburgh, Rome, Istanbul, Prague, The Hague, Glasgow, Toronto, and to venues from New York City to Los Angeles. In addition to Jane Eyre, her solo performances include Nurse! and Finding the Light. Her playwriting credits include the critically acclaimed musical about breast cancer, Breast in Show, and Bedside Manners, a play about doctor-nurse communication. (See Other Plays) She is a long-time practitioner and teacher of museum theatre, using theatre and theatrical techniques to enhance the visitor experience in museums and other settings. Lisa Hayes grew up in Wyoming and Montana, and now lives in Maryland. She earned a BA in Drama from the University of Washington in Seattle, and graduated from the Joan White English Theatre School in London and the American Academy of Dramatic Arts in New York. In mid-life, Hayes returned to school, earning a PhD in American Studies from the University at Buffalo. She was an American Antiquarian Society Creative and Performing Arts Fellow in 2011 and a 2012/2013 fellow in the international Noyce Leadership Institute. She recently completed several years as CEO of the Accokeek Foundation, a nonprofit that stewards 200 acres of a National Park on the Potomac River. She led transformational initiatives around museum theatre and interpretation of Piscataway Park’s landscape through a historical, indigenous, and environmental lens. 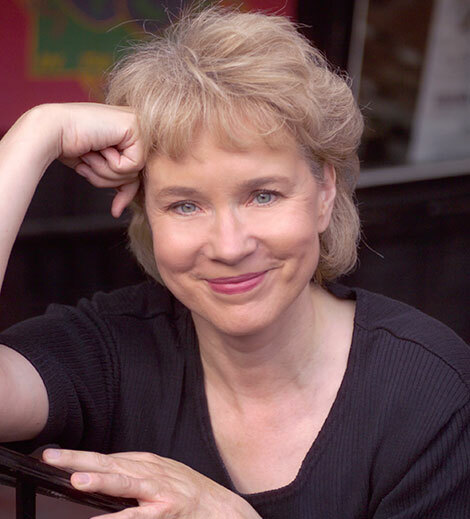 Her professional affiliations include Actors Equity, SAG/AFTRA, Dramatists Guild, American Association of Museums, the International Museum Theatre Alliance, and the Informal Learning Leadership Collaborative. Lisa Hayes is available for commissions, workshops, master classes,and museum theatre experiences.